We all want to do great in our passions, right? I've been writing since I was a kid. I used to own diaries back then and I write in it every night. When I was in high school, I used to be the feature editor of our school paper and the editor-in-chief of our yearbook. While most of my peers were busy with their extracurricular activities, I was there reading books and writing poems and short stories. When I started college, I was introduced to tumblr.com by a local magazine. I was enticed by its potential and that's when I ditched my diaries and started my online adventure. I've been in and out of the blogging scene since 2010. 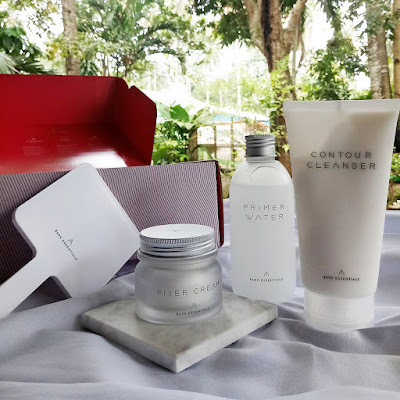 I just established being a "real" blogger (meaning I became serious with it) this year and along the way, I've been researching and learning the perks of being one. 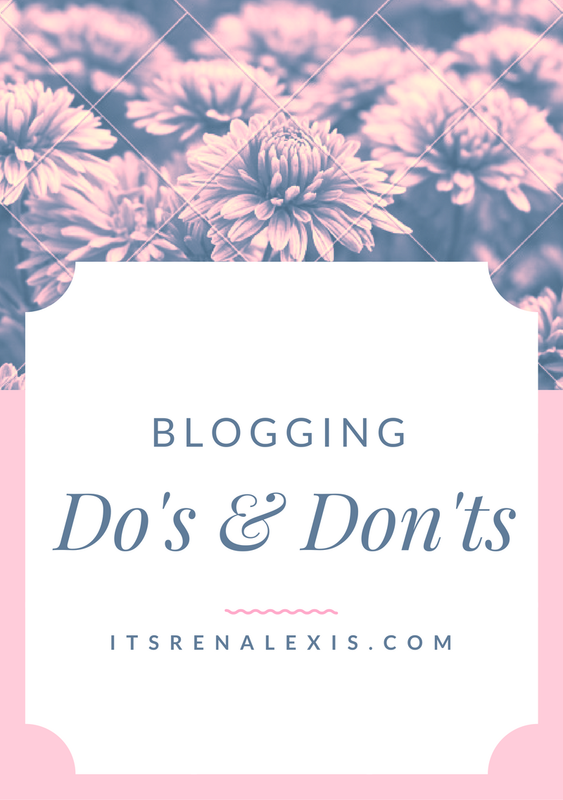 I've read countless of blogs and I've come up with my own list of do's and don'ts in blogging. I hope I can help out in some way to my fellow bloggers who are still "new" in this journey. When writing, I always make it a point that I'm putting bits and pieces of myself on every post. My personality shines through every article I do, especially on the personal ones. When I'm creating a content, I listen to myself talk in my head and then write those words down. When you do read my write-ups, it's like you're listening to me talk, and I hope you like what you hear read. I am not that expressive in person, but I can be on paper (or in this case, blogging). This blog is one of my achievement and I am proud of it, so I do my best in making it worth reading. In blogging, I've learned how important connections are. And not just those connections who come and go, but those connections who will stay. They say that online friendships are superficial, I disagree. I've made a few acquaintances over the years and even though some have moved on, there are a few whom I still talk to now and then. There will always be people who you can relate to and some who can relate to you. To make genuine connections, you have to nurture those new found friendship and do your part in keeping it alive. An online journey taken alone can be quite lonesome, it's much better to have someone you can talk to who can give you advice when you need one and can relate to you. When I moved from Tumblr to Blogspot, I had to start from ground zero. I had to start from scratch - I have to create and mold the feel of my blog, I have to get to know how my platform works and I have to work to grow my following - that means promoting my blog. Don't get me wrong, I still don't have that many followers but I've gained some in the past couple of months. I've learned from different blogs how to share and promote my site by optimizing my social media (Twitter, Facebook, Instagram & Pinterest). I have joined a number of Facebook groups where you can learn things from fellow bloggers all around the world. So far, I am gaining (not a lot though). Maybe when I reach a milestone, I'd be doing a blog post about that. Being in the cyberspace, you can have the option of altering your identity. You can be anyone you want to be if you are that determined. I just don't see the point if you try to pretend to be someone else when you are blogging. Everyone is unique, you must have your own unique way, too, so use that to your advantage instead of trying to imitate someone else. This must be the worst offense any blogger can commit. While it's common to have the same idea as the others, you must have your own style of writing a content that will differentiate you from all the others. If you've taken a blogger's idea and made it into your own, you must give him/her credit for it. Acknowledge the blogger and they will thank you for it, instead of just stealing and copying their idea. I won't deny it, I have done this before just for the sake of having a way to leave my blog link on someone's blog, and I'm sorry for it. If you have nothing relevant to comment on someone's posts, better not comment at all rather than just leaving a redundant "Nice post!" or "Great post!" or even "Love it!". It's unpersonal, irrelevant and uncalled for. If you want to engage with other bloggers, you have to think about what you say to them. So this is my list! I hope you had fun reading it and I hope you've learned a thing or two from me. You are always welcome to ask me questions, just send them my way through the comments section below. Or if you have some more things to add, don't hesitate to do so! Happy blogging!